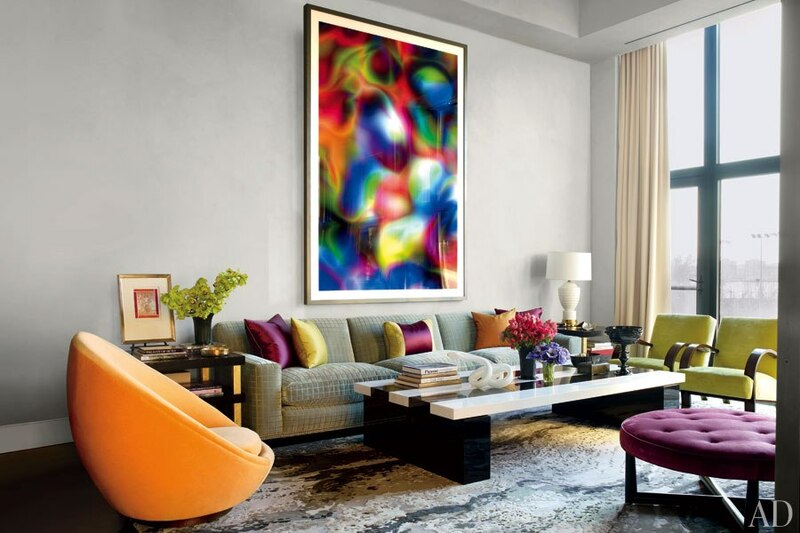 Interiors: Jamie Drake’s Swank New Digs — Sukio Design Co.
With sweeping views of the Hudson, fabulously tall ceilings, and a car elevator, Jamie Drake’s new apartment could easily be deemed spectacular before design work even began. But leave it to Jamie to up the ante with luxurious finishes and his trademark use of color. The result is a swank pad perfect for entertaining. As a non-cook, Jamie designed the kitchen more for hanging out than food prep, "What I really wanted was for the kitchen to be a very glamorous wet bar." And so, the designer created a two-tiered island with gold-leafed cabinetry, an overlapping Corian table, and plenty of space for cocktails. The master suite is just as glam in shades of gray, coral, and peach – a quiet place to unwind after a long night's affair.